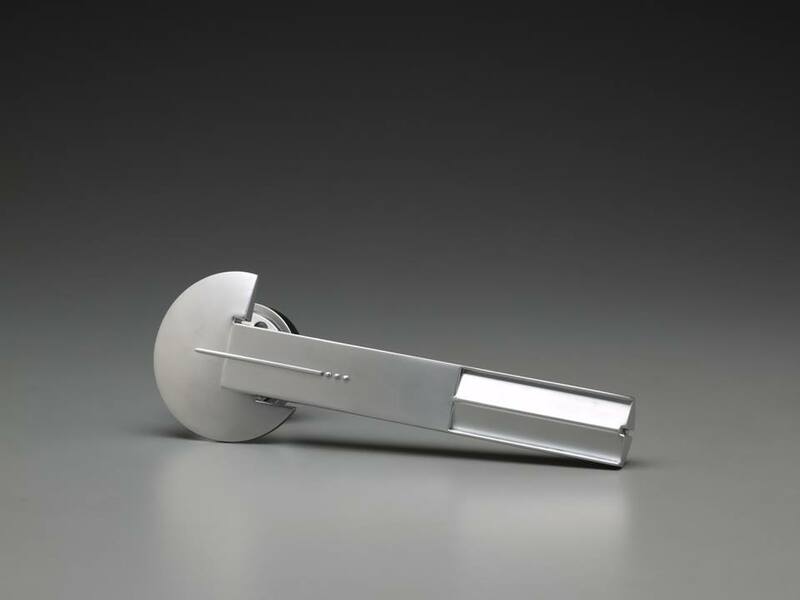 Door Gems architecture door hardware features the premiere product offering Lock-it lever handle by George Ranalli Designs. Door Gems, a unique series of architectural hardware, features metal casting techniques and ergonomic design. 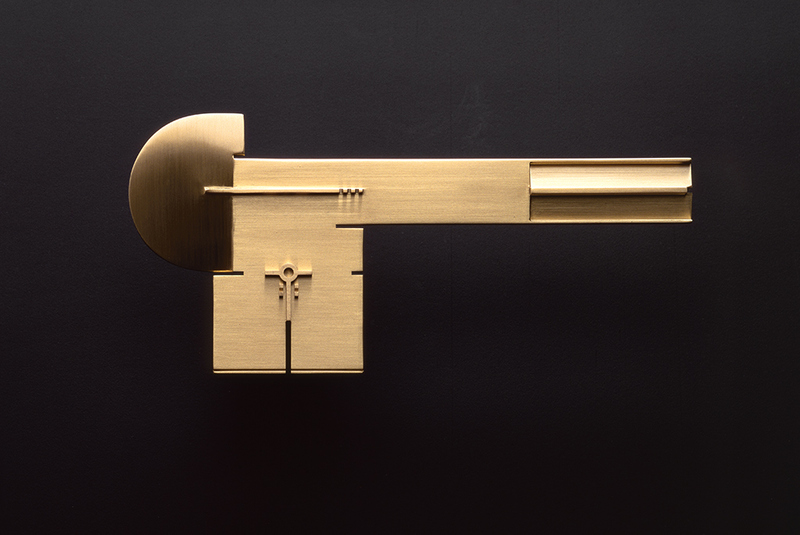 Each door handle mediates the scale of the human hand, passageway, and building. 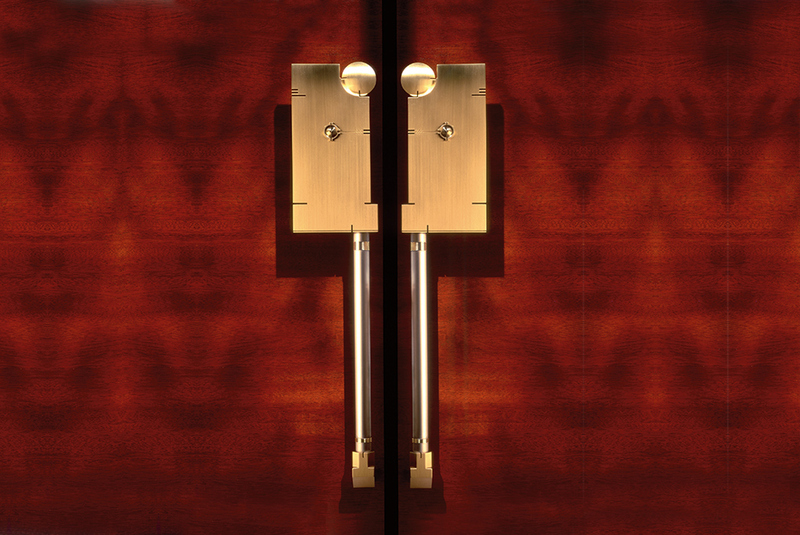 Neither high-tech nor traditional, the Door Gems series uses basic principals of design to deliver a high-quality product. 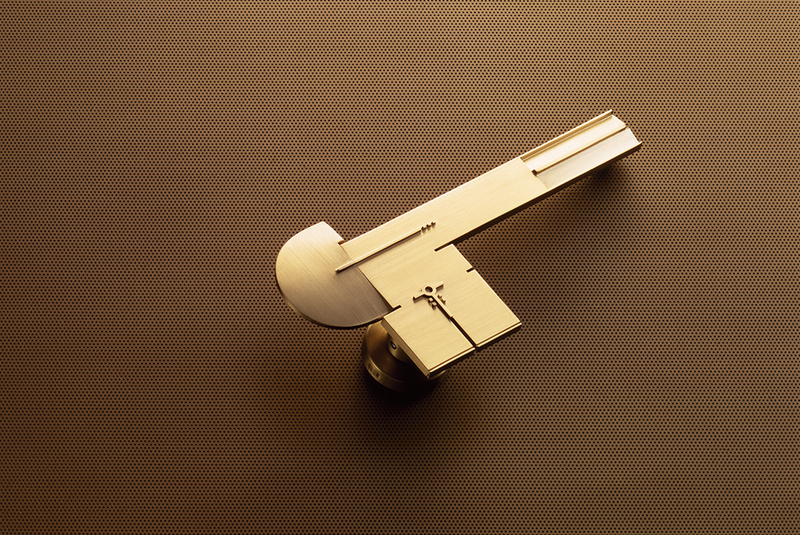 Lock-it (pictured above) and Charm are smaller scale levers suitable to interior passage or as a locked set suitable and most any style of design. Pendent is a push-plate/pull-bar suitable to larger interior and exterior passage. Door Gems are available in a variety of customized finished, including cast aluminum, brushed brass, and stainless steel. After decades of production-line fabrication in Japan, Door Gems is manufactured in the United States and available online. 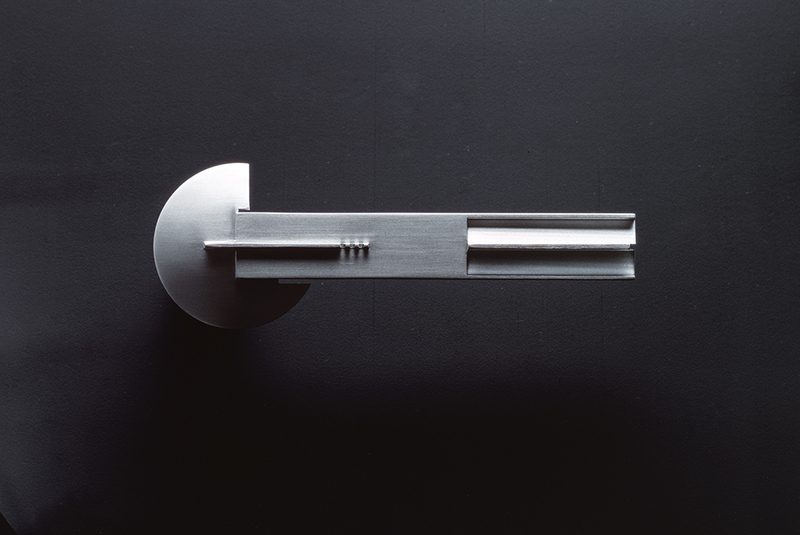 Lock-it door level is part of the permanent collections of the Denver Art Museum and the Indianapolis Museum of Art.